I have just acquired a Radio Systems Talking House transmitter. 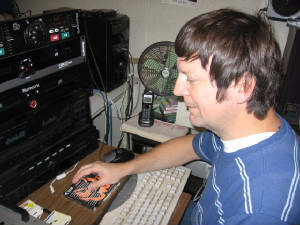 Using only the basic wire antenna, Big D is now broadcasting on 1610 kHz. Thisis not reaching much beyond our property at this point. I have the add-on ATU on my wish list. However, having had a heat-pump repair bill and some medical expemsed for my wife this month, I don't believe I will be getting the ATU for Christmas as I had hoped for. We barely were able to get a Christmas tree. Nevertheless, at least I can listen to Big D while working in the kitchen now.